Freemasonry is one of the world’s oldest secular fraternal societies - a society of men concerned with moral and spiritual values. People from all walks of life become Freemasons for a variety of reasons. Some are attracted by the valuable work that the movement performs in raising money for charity. It is not widely known that Freemasonry is one of the largest charitable benefactors in the UK, in fact second only to the National Lottery. Freemasons also assist the community in more direct ways, such as carrying out voluntary work. 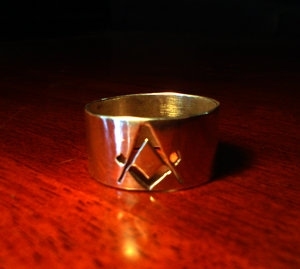 Others become Freemasons because of the unique fellowship it provides. There are about 5 million Freemasons worldwide, with 480,000 in England & Wales. Visit a Masonic lodge anywhere in the country – or indeed, the world – and you are greeted as an old friend. Freemasonry is the ultimate leveller, a community where friendship and goodwill are paramount. Freemasonry attracts those with a sense of social responsibility: it encourages its members to be good members of society and to lead by example. That naturally leads to charitable giving (see separate page). From its earliest days, Freemasonry has been concerned with the care of orphans, the sick and the aged. This work continues today. Freemasonry has certain charities, including those for widows and children of masons, but it is not in any sense a benefit society. Over the past five years, British Freemasonry has raised more than £75m for a wide range of charitable purposes, including medical research, education, and relief for suffers of international disasters. How often have we told ourselves that we really should send money to help with some famine or other disaster we have seen on TV, only to forget all about it in the rush of everyday life? Freemasonry provides a structured channel for fundraising from its members, and it can react quickly. When help is needed urgently, the Masonic charities respond immediately and generously. Freemasonry reminds its members that charitable donations are the start rather than the end of one's obligation to society and many members are active in their communities and in local charities. For most Freemasons, Freemasonry is more than simply a hobby or a social activity: it is a philosophy. It has been said that some people become Freemasons for personal benefit. This statement is true, but it may be misleading. The personal gain is in experiencing the warmth of an honourable society and being part of an organisation that works hard to help the less fortunate. Membership brings warm and supportive companionship, and leads to close friendships which develop over many years. Masons undertake not to use their membership of Freemasonry to gain pecuniary advantage. Of course there have been cases, and that is true of just about every group, society or body where men get together. How many business deals are cooked up on the golf course? The difference is that, unlike the golf club, to expect preferential treatment from fellow Freemasons is both misguided and contrary to one of the basic principles of the organisation. Failure to maintain this principle can lead to Masonic expulsion (although these are, thankfully, rare). Rather than spend your money on Masonic membership fees, you’d be better off buying a lottery ticket or joining that golf club. But what about the so called funny handshakes and the outlandish dress styles? Modern Freemasonry has been in existence for over 300 years and over this time has developed a pattern of ceremony. They are no more eccentric than ceremonies such as the State Opening of Parliament and, like this event, they perform a valuable function in reminding members of the heritage and standards they are expected to maintain. Once people have become Freemasons and understand the context of the ceremony and symbolism, they no longer seem quirky. In every generation, monarchs and heads of state have been promoters of Freemasonry, have participated in our mysteries and joined in our assemblies. This practice continues today. 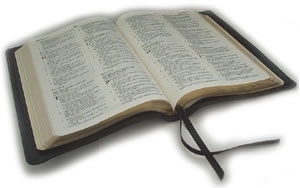 Members are taught its precepts (moral lessons and self-knowledge) by a series of two-part morality dramas. Like any form of theatre, it demands the learning by heart of the words and movements on stage. The drama is then performed within each Lodge. This progression of plays follow ancient forms, and use operative stonemasons’ customs, tools and implements as metaphorical props set against the allegorical backdrop of the building of King Soloman's Temple. Through taking part in these ceremonies, Freemasons come to understand the truths that they contain. Masons refer to these plays as “ritual”, a term which perhaps leads to unfortunate and inaccurate interpretation by non-masons. The medieval stonemasons guilds upon whose rituals Freemasonry is based, used handshakes and other signs as ways of identifying an unknown Mason. These signs were kept secret in order to preserve the integrity of the guild, ensuring that unskilled workers could not bring the craft into disrepute. Nowadays, these 'modes of recognition' are the only part of the ceremonies that Freemasons are bound not to reveal, as a token of their integrity and trust. The remainder of the ceremonial, while not technically secret, is kept private so as not to spoil the experience for the candidate on whose behalf it is being conducted. Masonic 'secrets' or its 'modes of recognition' may therefore be perceived as metaphorical keys to the doors of the different levels within Freemasonry, and allude to moral values that encourage high personal standards. Advancing in Freemasonry and discovering the messages associated with each level makes them easier to absorb and understand. We do not guarantee that resources accessed via links on the remainder of this page are either Masonic in nature or have been approved or endorsed by the United Grand Lodge of England. We specifically do not warrant that resources accessible from Web sites linked to below are recognised by, or have the approval of, the United Grand Lodge of England. UGLE - Website of the United Grand Lodge of England (the governing body of Freemasonry in England). 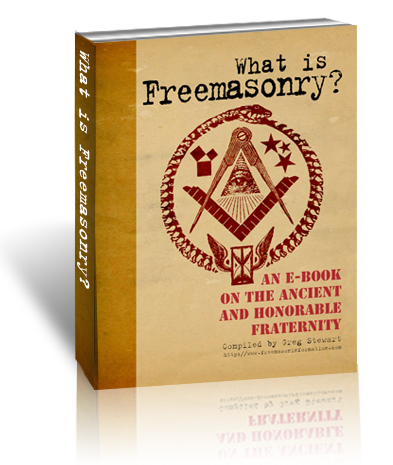 You may also want to read through this document prepared by UGLE.